A' Design Award and Competition has released its call for entries to A' Bathroom Furniture and Sanitary Ware Design Awards by talented designers, agencies and brands worldwide. The A' Sanitary Ware Design Award is open for entries by industrial designers, design engineers, bathroom furniture manufacturers and sanitary ware brands from all around the globe. Sanitary design works that were designed within the last 10 years are eligible to be nominated and will be judged by a high profile Jury Panel of 211 members in order to choose and honor the best of the best bathroom furniture and sanitary ware design projects. 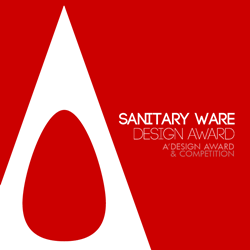 Last deadline for entries to A' Sanitary Ware Design Award is on February 28, 2019 and results of the competition will be announced on April 15, 2019. Winners of the competition will be granted the highly coveted A' Design Prize which contains three dimensional printed metal trophy, professional certificate, and a series of PR, marketing and publicity tools to celebrate the status of winning the A' Bathroom Furniture and Sanitary Ware Design Award 2019. Moreover, laureates of the A' Sanitary Ware Design Award Competition will receive invitation to the Gala Night and award ceremony in Italy with an opportunity to become a part of the exclusive “best designs of the year” Exhibition which showcase projects together with the best works of the previous edition winners, and also inclusion in World Design Rankings and Best Designs of the World.